Midden confronts the events and over one hundred years of silence that surround this shameful incident in Maine's history. Utilizing a wide range of poetic styles--epistolary poems to ghosts, persona poems, erasure poems, interior poems, interviews and instructions, poems framed both in the past and in the present--Midden delves into the vital connections between land, identity, and narrative and asks how we can heal the generations and legacies of damage that result when all three of these are deliberately taken in an attempt to rob people of their very humanity. The book is a poetic excavation of loss, a carving of the landscape of memory, and a reckoning with and tribute to the ghosts we carry and step over, often without our even knowing it. 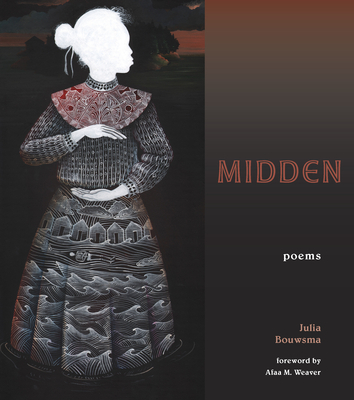 Julia Bouwsma (Author) Julia Bouwsma is the author of Work by Bloodlight (Cider Press Review, 2017).